The Case Western Reserve University Department of Women’s and Gender Studies, LGBT Center, Middle Eastern Cultural Association and Social Justice Institute will present a screening of the documentary film Oriented on Wednesday, Sept. 7, at 6:30 p.m., in the Tinkham Veale University Center, 11038 Bellflower Road. 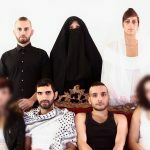 Oriented explores the lives of three gay Palestinian friends confronting their national and sexual identities in Tel Aviv. A discussion via Skype with Khader Abu Seif, one of the subjects of the documentary, will follow the screening, while Alana Jochum, executive director of Equality Ohio, will offer closing remarks. The event is free and open to the public.